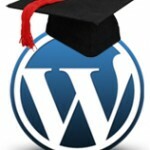 We provide live, interactive, instructor-led WordPress training classes where you can ask any question at any time. With Live Online WordPress Training, we guarantee you will get what you need. We also provide remote access support for the first 30 days. For more information call: 877-844-9931. An instructor will call you at your scheduled time and together you will log in with our remote access application and start training!